ANOTHER week and another controversy involving Sergio Garcia. When will the Spaniard ever grow up? You may remember that he was disqualified in Saudi Arabia earlier this year after deliberately damaging a number of greens in a fit of pique. He later apologised and promised to try and do better. Some chance. There he was at the WGC Match Play making headlines for all the wrong reasons again. It happened during his quarter-final against Matt Kuchar, a man who has also found himself in hot water this season when it emerged that he had failed to pay a local caddie the going rate when won the Mayakoba Classic in Mexico late last year. The Spaniard had a seven-foot birdie putt to win the seventh hole and missed it by about six inches. Rather than waiting for Kuchar to concede it, which he most assuredly was about to do, Garcia chose to backhand the ball with his putter but instead of dropping into the hole it spun out. He was then affronted when Kuchar consulted a rules official and informed Garcia that he was going to give him the putt but because he had gone ahead and played it, he was no longer able to do so. Garcia was furious and, in the aftermath, Kuchar attracted a great deal of criticism from fellow players and pundits. But the bottom line is that not only was he perfectly within his rights to claim the hole, but it was the correct thing to do. Why should Kuchar, or anybody else, be forced to bend the rules to suit the likes of Garcia. 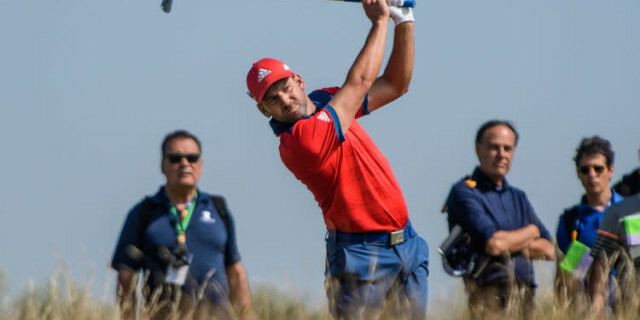 Unsurprisingly, it left a sour taste and the rest of the match was played under a huge black cloud, with Garcia struggling to look his opponent in the eye when he finally lost on the 18th green. Garcia had suggested that Kuchar concede the eighth hole but why on earth should he have done? The bottom line is that Garcia knows the rules - or certainly should do - and he broke them. Again! Let's not forget that Garcia is 39 years old - he really should know better, and so should those who have leapt to his defence. 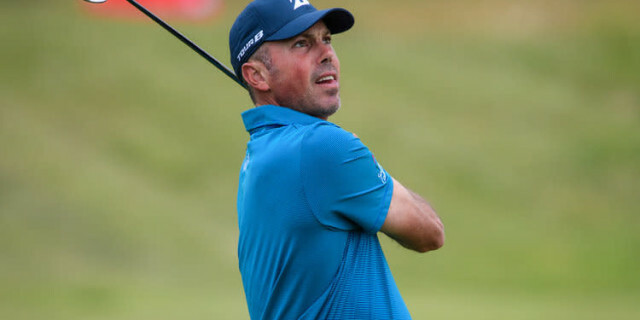 In the first instance, there is no connection between what happened on that seventh green and the row over Kuchar's caddie and his fee in Mexico. But as far as Sergio was concerned while the pair were out on the course it clearly wasn't fine. And what are the options he referred to? Did he really expect Kuchar to simply concede the eighth hole and for them to move on to the ninth? Do you believe for one second that, had the boot been on the other foot, Garcia would select that option? Not a chance. McGinley said he gave J.J. Henry a 20-foot putt at the 2006 Ryder Cup after a streaker ran onto the course and stomped through Henry’s putting line. This happened during the final-day singles when Europe were leading 13-8.